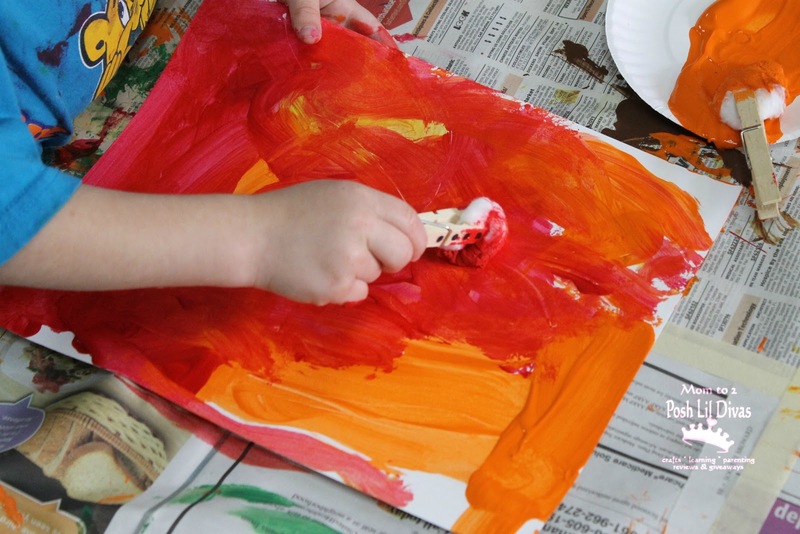 In my preschool class I like to change things up and give the children unexpected tools to paint with. It always makes things more exciting when you hide the paintbrushes and add something new. During our Nursery Rhymes Week we were learning Mary Had a Little Lamb so I thought it would be fun to put out clothespins and cotton balls (lamb - wool, get it?!) to paint with versus paintbrushes. Set-up for this was minimal. 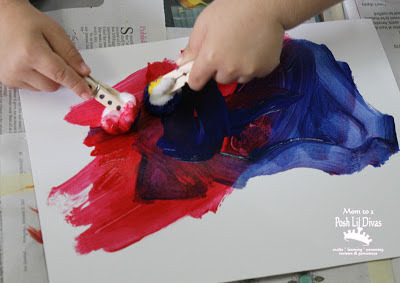 Provide paint, paper, cotton balls, clothespins and smocks. Then just let the kids explore the materials. Some of the children used the cotton balls and clothespins like a paint brush. Others used the cotton balls with their bare hands - enjoying the feel of the paint right on their fingertips. I encouraged them to try "pinching" the cotton balls with the clothespins because it was also sneaking in some valuable fine motor practice. 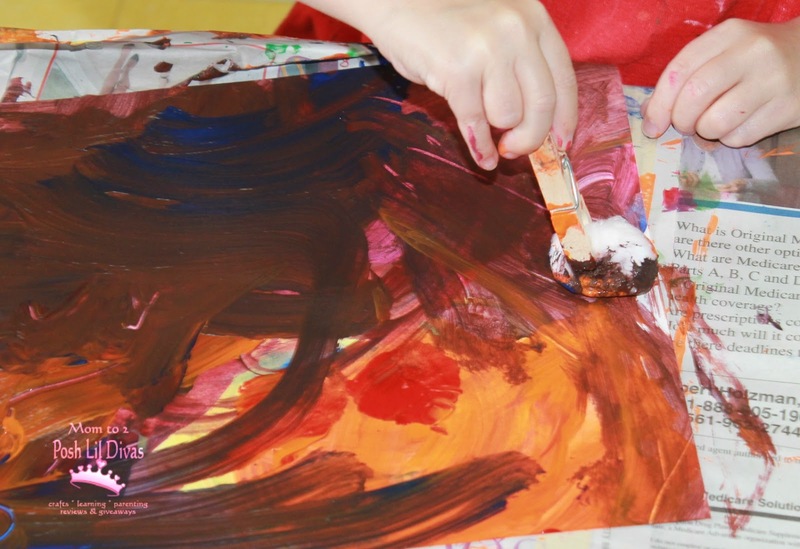 All that pinching is actually fabulous pre-writing practice for those little hands. Sneaky, I know! There is no wrong or right way to use the materials. It's all about exploring. There was no end product in mind. The children just freely enjoyed the process. 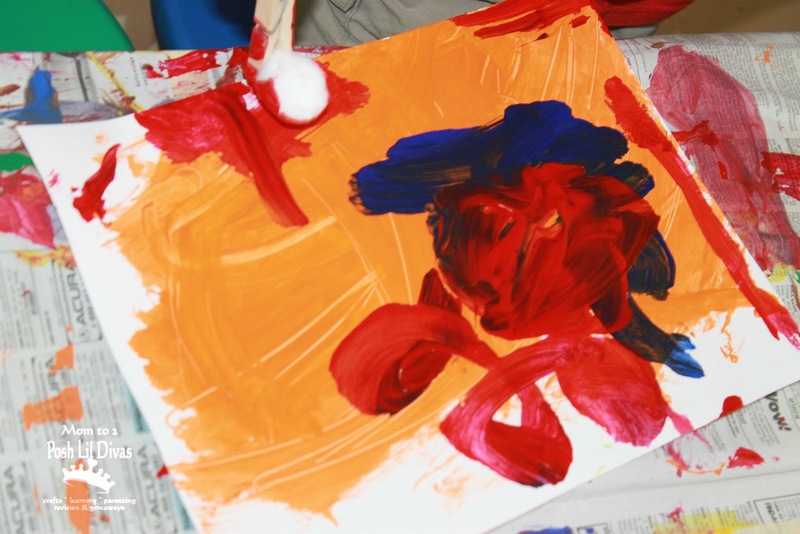 Of course we ended up with some cool looking paintings which we proudly displayed but most importantly - the kids just had fun and enjoyed using the cotton balls to create art. 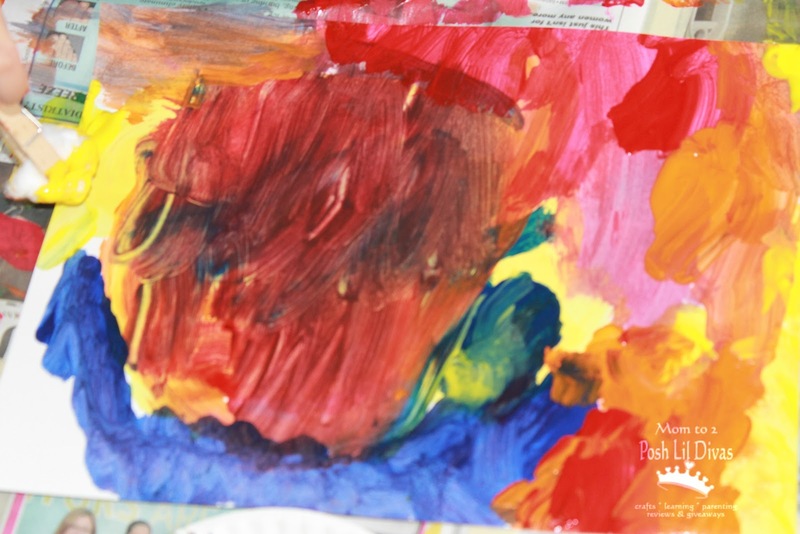 If you enjoyed this be sure to check out our other Painting Fun ideas and our Kids Art Pinterest board. 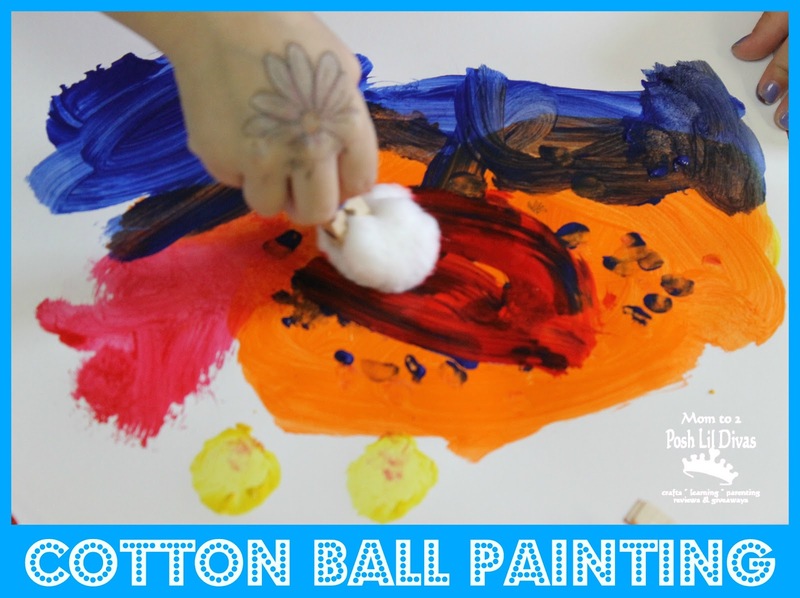 Have fun cotton ball painting! That looks fun and I wouldn't have thought that cotton balls would work so well! Good to know!